We are now able to offer our alumni free access to JSTOR and SAGE online database covering thousands of academic journals. When you click the link below, you will be asked to log on to the alumni website. If you have not yet registered to use the alumni website, then please click the "New registration" link below the login form. 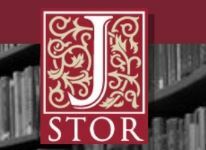 JSTOR, SAGE and the online library resources can be accessed here. The Library is open to the general public for reference use, but as a Lancaster Graduate you can join as an Alumni Library member for a discounted annual fee of £30. This entitles you to borrow up to six items from the Library. Requirements: We will confirm with the central student database that you are a Lancaster Graduate. As a visitor you are also entitled to use the Walk-in database facilities to access electronic resources from the premises. If you wish to join please complete the application form and bring it with you to the information point, together with your fee and proof of address, during our staffed service hours. Your card will be made up on the spot. If your name has changed since you graduated, please let us know the name under which you graduated.